Q) Some people a adamant about have side weight, or finger/thumb weight in their layouts. Does this really change bowling ball reaction? A) This is a great question. We are still bound to bowling ball layouts based on the USBC rules for static imbalances. Basically, there can be no more than one ounce in any direction from the midpoint of the grip. Any studies have shown that static imbalances do not really affect bowling ball reaction. Watch this episode to hear us discuss it. On this episode, we answer a couple of viewer questions. 1) I am a medium-high speed bowler, 17-18 mph, 300 rev rate and I play on 37 ft of pure heavy oil so which of the following balls is good for me? 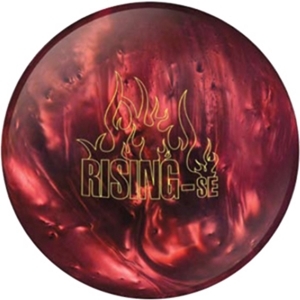 Roto Grip Mutant Cell , Lane #1 Massacre Red Death, or Brunswick Siege? 2) Are there any colleges or universities that teaches bowling and the bowling industry? There were both great questions, and I hope we did a good job of answering them. Have a question for us? Leave a comment below, or send us an email (questions@talkbowling.com). We recently released an article on How to Curve a Bowling Ball on bowlingball.com and noticed that it generated a little conversation in our comments. So we decided to do a Talk Nowling episode all about it. We tried to give a few more examples than we have in the past. We hope this helps. We continue our quest for knowledge about the PBA Named Oil Patterns. This week is the shortest of them, the Cheetah. Cheetah measures 36 feet in length and is the shortest of the five patterns. Sometimes used on lane surfaces that are well worn, it tries to maximize the area on the lane with less wear, which is usually extremely close to the gutter. Because of this, players tend to migrate toward those spots to take advantage of the more pristine surface areas. The cheetah is exciting for its ability to allow players to make “risk-reward" decisions based on playing near the gutter. The scoring pace is normally medium for this pattern. In this episode we discuss the parts of a bowling ball and the symbols on the surface. Starting with the Coverstock (The surface of the bowling ball), you will find 2 or 3 symbols. The Pin, Center of Gravity (CG), and if the core (also known as the weight block) is assymmetrical there will be a Mass Bias symbol. The Pin is a circle created with colored plug material and designates the top of the core. During manufacturing the core is suspended in the bowling ball by a hanger pin. Once removed there is a void in the bowling ball. Manufacturers used to fill the hole with the same color as the ball so that you didn’t know where it was. As ball drilling became more of a science, it was necessary to “see" where the core was. Filling the hanger pin hole with a different color allowed ball drillers to essentially “see" inside the bowling ball. The CG is the point on the ball where all four quadrants are in balance. As you move the CG mark left, right, up, and down, you start creating imbalances in the static weight of the ball. The USBC limits the amount of imbalance to 1 ounce left or right of the center line and 1 ounce up or down from the midline. The Mass Bias is only noted on assymmetrical cores. This point denotes where the core is closest to the cover stock. 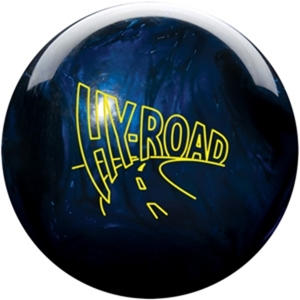 It is the second most important piece of information used when laying out your bowling ball. 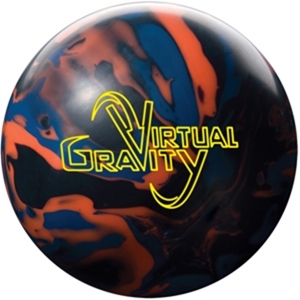 Information that is not listed on the bowling ball itself is the Radius of Gyration(RG). The RG determines how fast or slow the ball will be able to spin. A great example is that of an ice skater. When they do a spin and hold their arms out, they are create a higher RG and spin slower. As they bring their hands in towards their body, they create a lower RG and spin faster. The RG of bowling balls do not change, as if the ice skater’s arms were in a cast. There are four new releases. Two of them (Storm Virtual Gravity and Storm Hy-Road) are already in stock and shipping. The Track Rising SE is scheduled to be released on November 26, 2008. 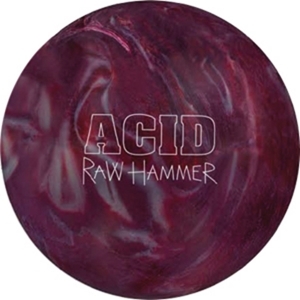 The Hammer Raw Hammer Acid is scheduled to be released on December 2, 2008.